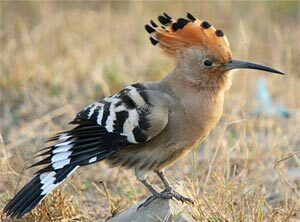 Mentioned below are some of the birdwatching travel packages that are specialised in bird watching tours in India. These tours have been made keeping in mind, what kind of birding tours or outdoor activity a tourist seeks. Each of these tour packages are full of fun and adventures. Beside the packages you can also avail the exclusive offers and discounts that are offered with the travel packages by the travel agent. Bird watching is the very best kind of fun. It is easy, inexpensive, healthful and satisfying. Bird watching is about wild birds and the sport of birding. It's for everyone who's interested in bird watching and enjoying nature. You always don't need to go to the reserved bird habitats to watch birds. Whether it's watching birds in your own back yard or whether it's a trip to the bird habitats to watch some very rare species of birds, bird watching is your lifetime ticket to the amphitheater of nature. India has an enormous number of bird species, both resident and migrant and many parks in the country have over 2000 species. First time travellers are often surprised how prized this element of a experience can be. Tourists coming here have ample opportunity to notice birds, as even if they don't remember their names, for sheer dynamics and diversity they are impressive - from singing cuckoos to dancing peacocks. Here birds are eminently visible and often actually doing something remarkable; fish eagles plucking writhing cat fish out of a river in front of you, rollers doing loops and aerobatics, vultures with 9 ft wingspans fighting over a carcass a few feet from you. For the more dedicated ornithologist Indian Wildlife Sanctuaries and Parks have access to some of the best birding guides and numerous ornithological safaris are also arranged by the forest departments and travel agents for better sighting and bird knowledge. India is one of the 12 megadiversity countries of the world. There are numerous species, the potential of which is not yet known. Nearly 95 % of the medicines used in the traditional treatment in India are plant based. India's land mass is 2.4 % of the total land area on this planet but its contribution to world's biodiversity is app. 8% of the total number of species. India ranks tenth in the world & fourth in Asia in plant diversity and ranks tenth in the number of endemic species of higher vertebrates in the world. India has 10 biogeographical zones and has 6 types of natural habitats. Over 47,000 species of plants and 89,000 species of animals have been recorded in India. Out of 4700 species of plants, 5150 are endemic to India. To protect & conserve its rich flora and fauna, 12 biodiversity rich areas have been designated as Biosphere Reserves. 5 sites in India fall under the preview as World Heritage sites under the World Heritage Convention. Among the 18 hot spots in the world, two are in India namely The Eastern Himalayas and the Western Ghats. 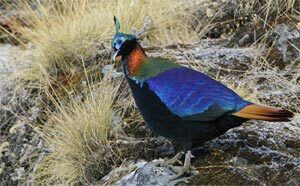 India has over 350 species of mammals and over 1225 forms of birds, some of them are endemic to India only. Some of the unique species found in India are Golden Langur, Namdapha flying squirrel, Lion tailed macaque, Nilgiri Langur, Nilgiri Tahr, Flying Squirrel, Malabar Grey Hornbill, Asiatic Lion, Nilgai, the Spiral Horned Black Buck, the four horned Chausingha. To protect this unique wildlife India has earmarked app. 4.2 % of the total geo-area for conversation. A protected area network of 85 National Parks and 448 wildlife sanctuaries have also been created. Kindly find bellow suggested readymade itinerary and if you required any tailor-made itinerary please contact us we will help you.